Our Jaguar I-PACE is fitted with £3,969 worth of optional equipment including Fixed Panoramic Glass Sunroof, Driver Assist Pack, Metallic Firenze Red Paint, Cold Climate Pack, Black Exterior Pack, Cabin Air Ionisation, Powered Tailgate, Carpet Floor Mats and Lockable Cooled Glovebox. It is finished in Metallic Firenze Red Paint with Ebony Light Oyster Leather Upholstery plus 20 inch Alloy Wheels. 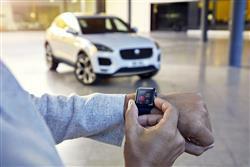 Specification highlights include All Surface Progress Control, Apple Car Play, Meridian Sound System, Two Zone Climate Control, Conventional Electric Charger, Pedestrian Contact Sensing System, Driver Condition Monitor, Electric Powered Park Heat, Home and Public Charging Cable, LED Daytime Running Lights, In Control Apps, Auto Dimming Rear View Mirror, Dynamic Mode, Keyless Entry, Lane Keep Assist, Navigation Pack, DAB Digital Radio, Centre Armrest, Cup Holders, Metal Treadplates, Rain Sensing Windscreen Wipers, All Wheel Drive, Tyre Pressure Monitoring System, Split Folding Rear Seats and Hill Launch Assist. Our I-PACE is an Approved Used Forecourt Favourite providing you with 2 Years Full Warranty and 2 Years Jaguar Assistance. 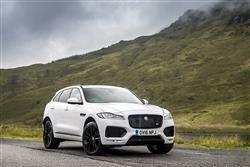 Our Jaguar F-PACE is fitted with £3,140 worth of optional equipment including Adaptive LED headlights with LED Signature Daytime Running Lights and Auto High Beam Assist, Interactive Driver Display, Red Brake Calipers, Park Assist Pack, Configurable Dynamics and Privacy Glass. 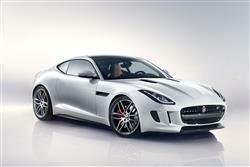 It is finished in Fuji White Paint with Ebony Leather Upholstery plus 20 inch Alloy Wheels. Specification highlights include Electric Windows, Rain Sensing Windscreen Wipers, 350mm Front Brakes, Hill Start Assist, Trailer Stability Assist, Adaptive Dynamics, All Terrain Progress Control, Front Parking Sensors, Lane Departure Warning System, Lane Keep Assist, Rear Parking Sensors, Bluetooth, DAB Digital Radio, USB Connection, Automatic Headlights, Front Fog Lights, Centre Armrests, Cup Holders, Satin Chrome Gearshift Paddles, Connect Pro Pack, Tyre Pressure Monitoring System, Split Folding Rear Seats, Isofix Preparation and Keyless Start. 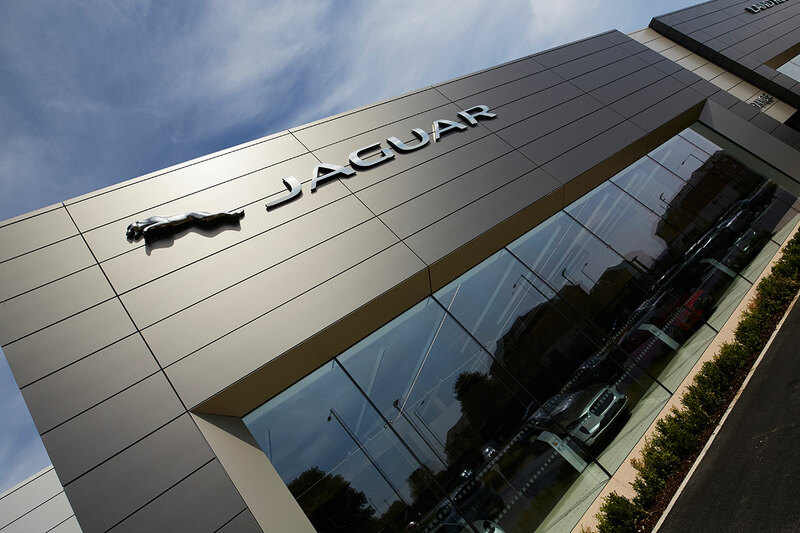 Our F-PACE is an Approved Used Forecourt Favourite providing you with 2 Years Full Warranty and 2 Years Jaguar Assistance. 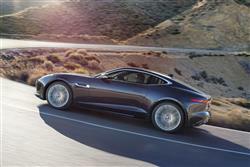 Our Jaguar F-TYPE is fitted with £4,025 worth of optional equipment including 20 inch Diamond Cut Alloy Wheels, Black Pack, Rear Spoiler, Rear View Camera and Switchable Exhaust. It is finished in Solid Caldera Red Paint with Leather Upholstery. Standard specification highlights include Electric Front Windows, Rain Sensing Windscreen Wipers, Dynamic Mode, Sports Suspension, Bluetooth, Cruise Control, Lane Departure Warning System, Lane Keep Assist, Rear Parking Sensors, 10 inch Touch Screen, DAB Digital Radio, InControl Apps, Automatic Headlights, 12V Power Port, Centre Armrest, Cup Holders, Driver Monitoring System, InControl Navigation Pro, USB Connection, Silver Gearshift Paddles, Keyless Start and Tyre Pressure Monitoring System. 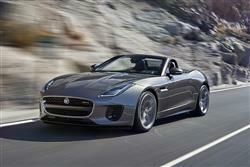 Our F-Type is an Approved Used Forecourt Favourite providing you with 2 Years Full Warranty and 2 Years Jaguar Assistance. Our Jaguar E-PACE is fitted with optional equipment including In Control Pro Pack, Auto Dimming Rear View Mirror, Fixed Panoramic Roof, Surround Camera System, Navigation System and Power Folding Door Mirrors. It is finished in Metallic Santorini Black Paint with Ebony Cloth Upholstery plus 17 inch Alloy Wheels. Specification highlights include 10 inch Touchscreen, Split Folding Rear Seats, All Wheel Drive, 9 Speed Automatic Transmission, Auxiliary Connection, Bluetooth Connectivity, Two Zone Climate Control, Cruise Control, Pedestrian Contact Sensing System, Daytime Running Lights, Lane Keep Assist, Front and Rear Parking Sensors, DAB Digital Radio, Metal Treadplates, Tyre Pressure Monitoring System, Heated Front Windscreen, Rain Sensing Windscreen Wipers and Assisted Power Steering. Our E-PACE is an Approved Used Forecourt Favourite providing you with 2 Years Full Warranty and 2 Years Jaguar Assistance. 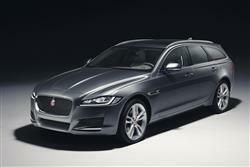 Our Jaguar XE is finished in Caldera Red Paint with Leather Upholstery plus 17 inch Alloy Wheels. Specification highlights include 10 inch Touchscreen, Auxiliary Connection, Two Zone Climate Control, Cruise Control, Electrically Heated Door Mirrors, Xenon Headlights with LED Daytime Running Lights, In Control Apps, Auto Dimming Rear View Mirror, Dynamic Mode, Lane Departure Warning System, Front and Rear Parking Sensors, Pedestrian Contact Sensing System, DAB Digital Radio, Rear View Camera, Split Folding Rear Seats, Centre Armrest, Cup Holders, Heated Front Seats, Sports Seats, Sports Suspension, 8 Speed Automatic Transmission, Tyre Pressure Monitoring System, Metal Treadplates, Heated Front Windscreen, Rain Sensing Windscreen Wipers, Automatic Headlights, Hill Launch Assist and Assisted Power Steering. 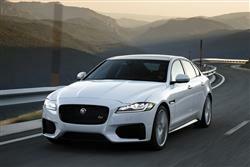 Our XE is an Approved Used Forecourt Favourite providing you with 2 Years Full Warranty and 2 Years Jaguar Assistance. We really could not have been happier with the whole experience of purchasing through this Dealership. From Reception to completion. Completely contrary to our experience with our local showroom Cheltenham where we were still waiting 15mins after an appointment time, for a test drive, therefore we walked out! Many thanks particularly to Steven Dann, our Salesperson. All the team were very attentive and helpful. Sales staff are always good and take on board my needs as a client, which usually revolves around over all cost, repayments and value for money. 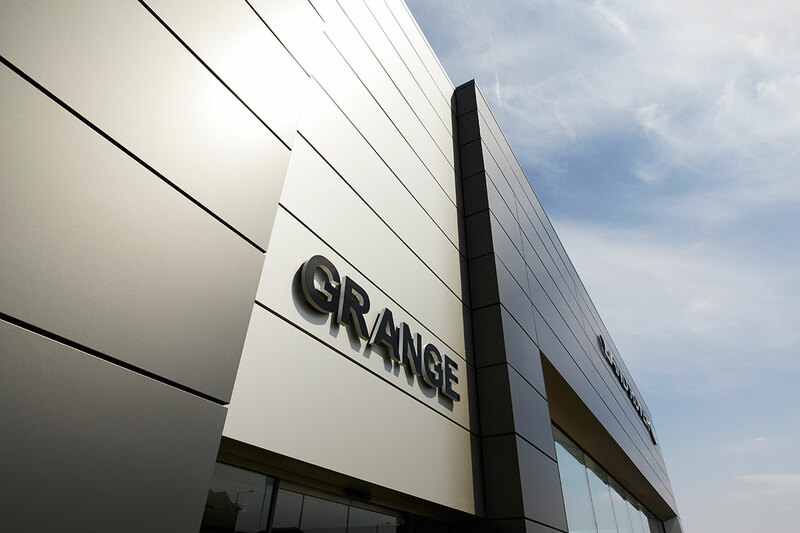 Welcome to the Motorparks Grange Jaguar Swindon car dealership, where you can find a wide variety of cars from one of the UK's most iconic vehicle manufacturers. 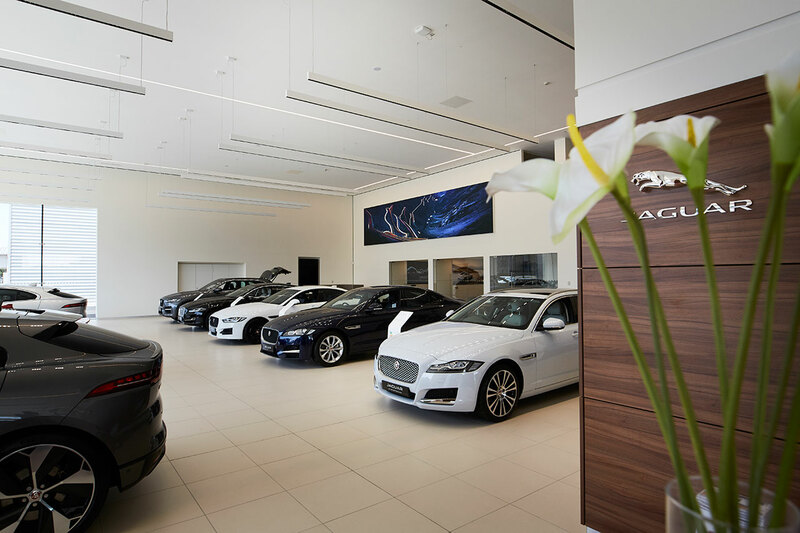 Ever since Sir William Lyons founded the Jaguar brand more than 90 years ago, the manufacturer has continued to impress its critics with cars that are a joy to behold and exciting to drive. 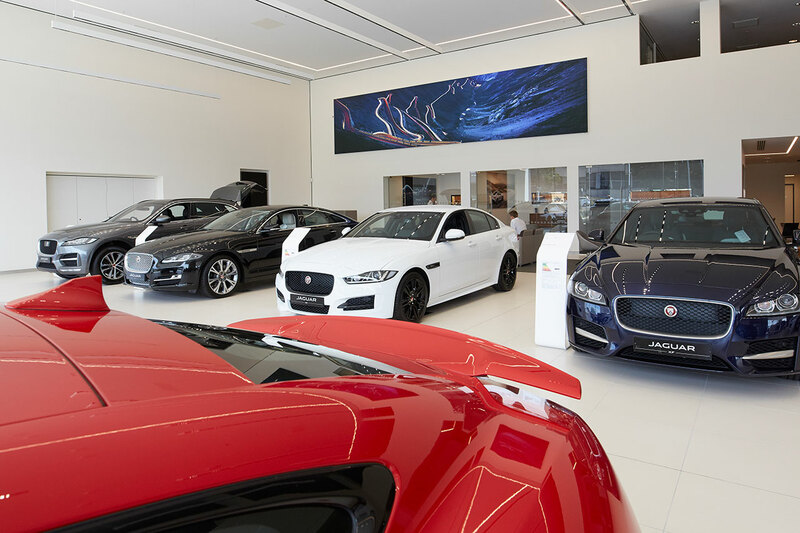 This is no different when looking at the current Jaguar line-up, all of which is stocked at our Jaguar dealership in Swindon. 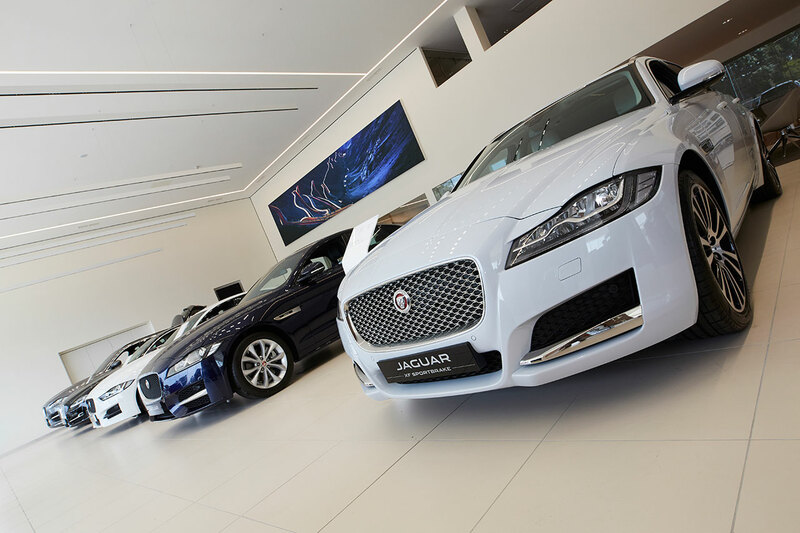 View the range below and you will find the excellent Jaguar F-PACE, the extremely powerful Jaguar F-TYPE sports cars and the stunning Jaguar E-PACE, XE and XF. 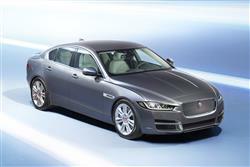 Hoping to purchase a luxurious vehicle on a budget? 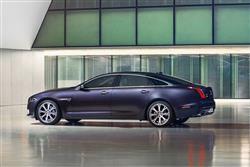 Not a problem, as our Grange Jaguar Swindon dealership also has a huge used Jaguar range. 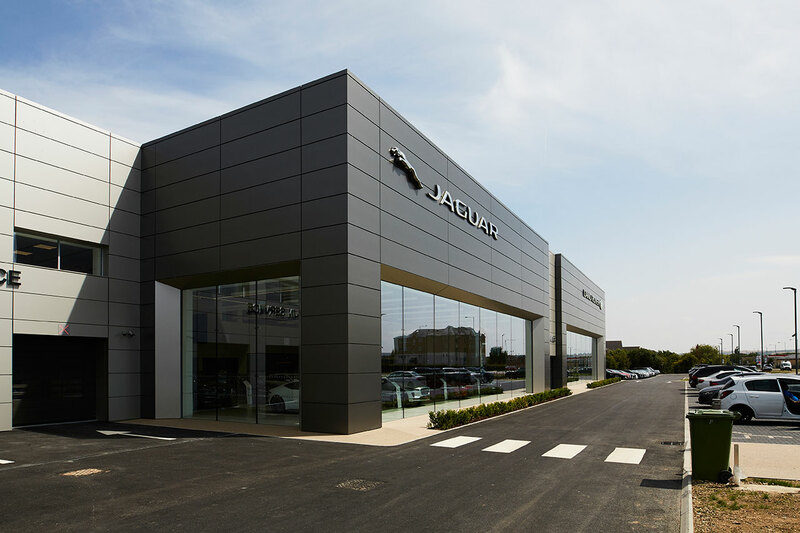 Browse the full stock at our Jaguar car dealership in Swindon either online or by calling into the dealership today. 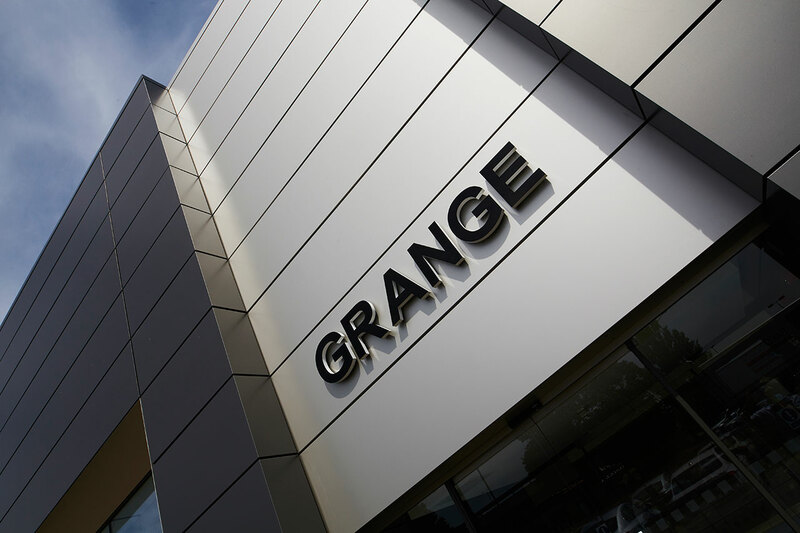 We are located on Dorcan Way, a short drive east of Swindon and easy to reach from the M4.